Planning a trip to Maui, Hawaii, in April, 2013, I envisioned being able to take a picture of a young boy stand up paddle boarding off Maui shores. I had first seen stand up paddle boarding off Maui shores in 2008. And now there he was with a man, probably his father, just getting ready to get his board into the gentle surf. We were on the third floor of a condo very close to the beach, and I was thrilled to see this photo-op developing right before my eyes. I grabbed my fancy wireless smart phone/camera and the agreement permitting me to use the picture I would take for a book cover. Also, some cash incentive for the boy. I took the picture and later that day sent the image from my wireless phone to the editor’s cover process in India. 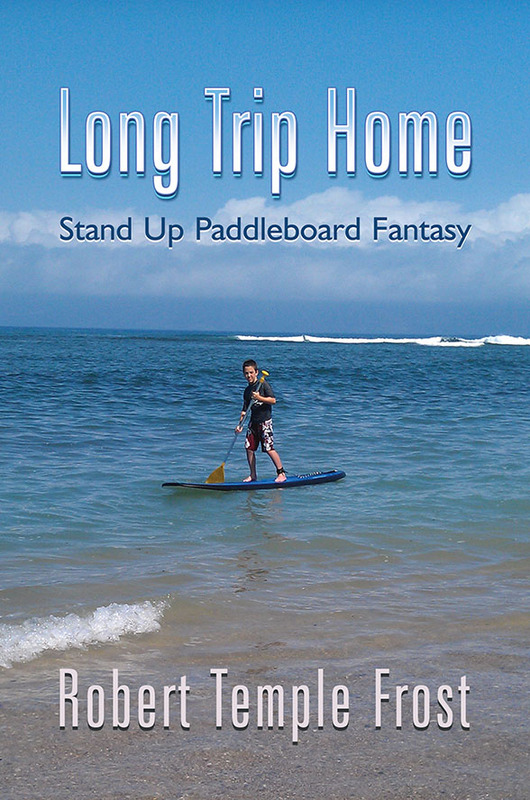 Now Ryan’s image is embodied on the cover before you of a young boy of the right age standing on his paddle board in the ocean off the coast of Kahana. And this story written for middle-grade children is a delight. Akoni’s younger brother, Micah, is now an important participant in the boys’ adventure to modify an ocean-going kayak, and stand up paddle their invention to the island of Molokai to visit their native Hawaiian grandmother. Here’s a synopsis of the boys’ adventure. On Maui, Hawaii, two brothers, 12 year old Akoni and 10 year old Micah, both standup paddle boarders, modify an ocean-going kayak, to be a standup paddle kayak. This starts their adventure to paddle the kayak to Molokai, the nearby island where their native Hawaiian grandmother lives. Their crossing is adventurous as they encounter dangerous currents and playful dolphins. They learn from their grandmother that their grandfathers’ many generations back were Kahunas, spiritual leaders and healers. This information inspires Akoni to think about being a Kahuna, too. On their return to Maui the currents and strong wind forces them out to sea beyond Maui where they have to deal with life threatening events. Will they survive? Do you know that you, too, can be a poet? Everyone has this ability that lives within their loving self. Most people stifle it from fear of being vulnerable, laughed at, or criticized. So their inspiration is never allowed to bloom. Let this little book of poems inspire you to express to your lover, your partner, whoever is sentimentally or emotionally involved in your life some tender thoughts in poetry. You’ll be amazed at the reaction you’ll get. Who can fault an intent to try? Be bold, be brave, be loving. My wife and I have an amazing romance that continues to this day. I reviewed the love poems I had written to her from the beginning of our romance and realized they make a story in poems that I thought others would enjoy. 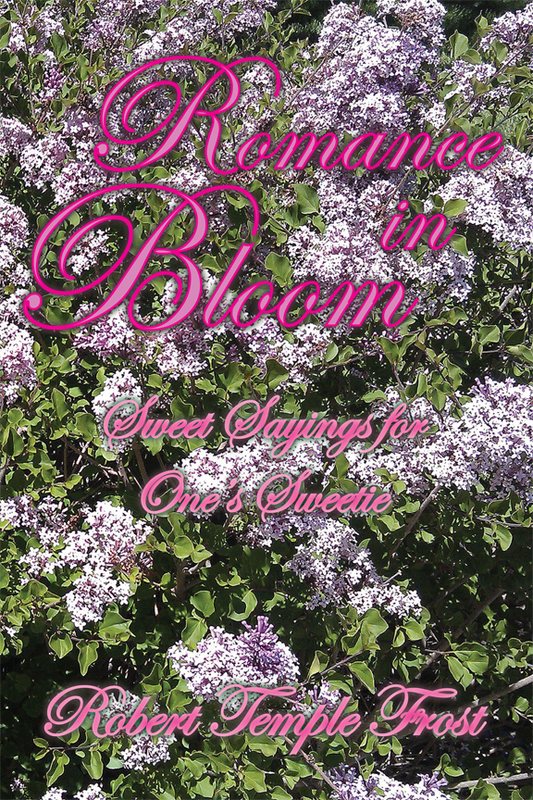 Here then, is my book of poetry dedicated to my wife, Romance in Bloom: Sweet Sayings for One’s Sweetie. Robert Temple Frost enjoys writing observational poems, as well as ones that encourage the reader to think. His poetry in Life as a Delightful Mystery were written over a fifteen-year period. 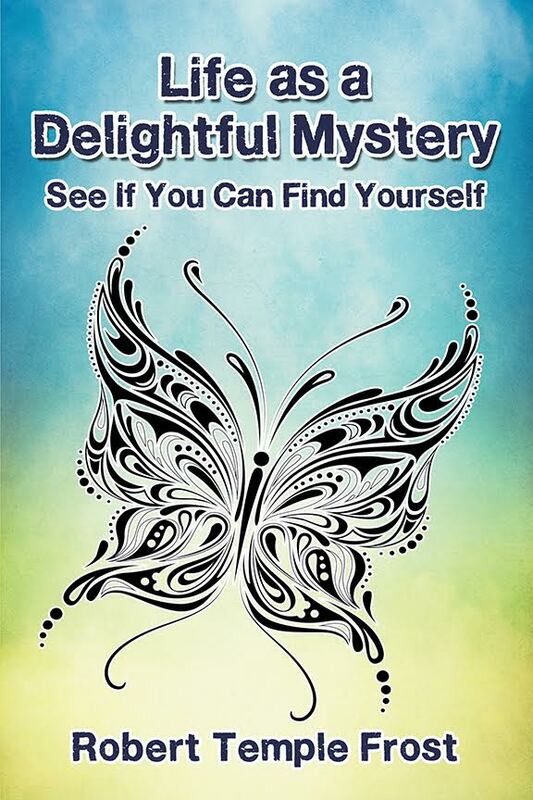 They will intrigue readers with their diversity and will stimulate on the emotions. The poems present a definite point of view and will make readers think and form their own opinions. This is called interactive reading because it involves the reader.